♥Donnie Darko Girl♥: Falling from the Sky by Nikki Godwin ~ Blitz: Excerpt & Giveaway! 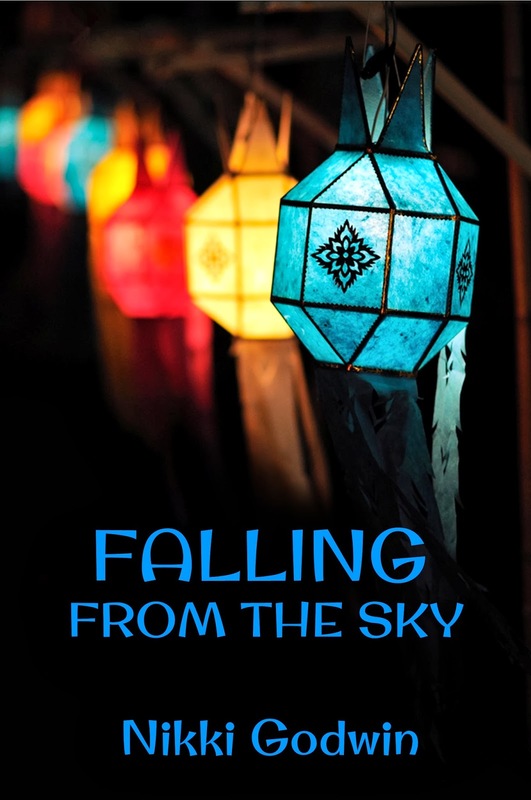 Falling from the Sky by Nikki Godwin ~ Blitz: Excerpt & Giveaway! "You really think I can explain all of that to you in a few minutes?" he asks. I glance at my cell phone. Curfew is in two hours. "I have time," I say. He laughs and shakes his head. "I need more time than what you have tonight. It'd seriously take all day just to tell you about one horse, much less ten. You know, I could just show you instead," he says. "What are you suggesting?" I ask. "Give me ten days this summer," he says. "I don't know if I can. It's going to be a busy summer," I say. Really, I just don't know if I can handle Micah for ten days of the summer. He talks too damn much, and I don't want him latching on to me like I'm his best friend. He doesn't buy my excuse. "You practice when, Monday through Friday? Do you plan on going home every weekend? Where are you from anyway?" Yeah. Already getting on my nerves. "Yes. Maybe. Markham," I answer. Weekends on campus will get boring. I don't plan on going out with the guys at camp and getting drunk. Terrence won't be around much. And I'm sure as hell not going home on the weekends to deal with Mom's crying, Jordan's complaining, and Samantha's attempt to fake a relationship with me. But Micah doesn't need to know that. "I can work my schedule around yours," he offers. He scribbles his phone number down on the back of a mall pamphlet. "Just in case you change your mind or get bored." He pulls the lever again, and the horses stop spinning. The girls climb down from their mounts and run back over to us. I have to get out of here before they disappear, and he traps me with more Xbox conversation. I glance down at the mall pamphlet in my hand. "We'll see," I say. "I've gotta head back, so I'll see you around." I don't give him a chance to persuade me any more than he's already tried to. Room eleven is still silent when I get back. Terrence won't be back until morning. I don't mind the silence, though. I'd rather be alone. When I'm alone, I don't get fake sympathy and "it'll get better" speeches. I don't get asked stupid questions about how I'm holding up or if I need to talk. It's probably written all over my face that I'm alone and need pity, even here, away from annoying brothers, grieving moms, distant girlfriends, and rainforests that eat planes. That's probably why Micah wants to be my friend this summer. I probably sweat tragedies the way my summer teammates will sweat alcohol. I empty my pockets and crumple up the mall pamphlet. Micah's phone number falls from the sky and crash-lands in the metal garbage bin by the door. I flip off the light. I'd rather be alone all summer. 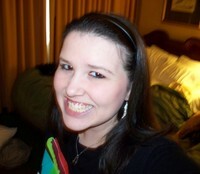 Nikki Godwin is a Young Adult author from the southern USA. She is a city girl who can't live without Mountain Dew, black eyeliner, Hawthorne Heights, and candles from Bath & Body Works. When not writing, she's not-so-secretly internet-stalking her favorite bands. She is slightly obsessed with rock stars and surfers. She no longer hides her love for One Direction. Thanks for the review. The cover is very pretty.